KIEV, Ukraine -- Lawmakers of Ukraine's pro-presidential Party of Regions have submitted to the parliament a bill, allowing the use of Russian language in during legal proceedings. Under the current legislation, legal proceedings can be carried out solely in Ukrainian language. "Legal proceedings solely in the state language create barriers and sometimes make it impossible to defend rights and interests protected by the law, which is a violation of the Ukrainian constitution's Article 55," a summary of the bill, published on the parliament's official website, said. Ukraine's new government said in early April it would give "broad cultural autonomy" to the country's regions, including to choose the main language used in local government and schools. The bill, authored by Party of Regions lawmakers Serhiy Kyvalov and Vadym Kolesnychenko, was first introduced to the Supreme Rada in 2007, but was rejected. It allows a court to switch to Russian-language if both parties involved in legal proceedings show consent. The summary stresses that the bill is not aimed at limiting the use of Ukrainian as a state language and contains no provisions which change its status. "The bill does not give the state language status to Russian, both explicitly and implicitly," the summary reads. 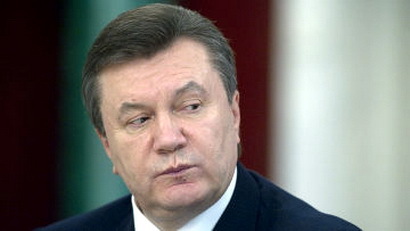 The governing coalition, led by Yanukovych's Party of Regions, is therefore likely to incorporate the European Charter for Regional or Minority Languages into Ukrainian law, which would allow individual regions to use Russian — or other widely spoken languages — for official communication and schooling.